Electric milk floats, as they are known in Britain, have been a part of daily life for generations, with milkmen delivering glass bottles to people’s homes every morning. The service has recently regained popularity as public concerns over pollution caused by plastic containers has risen. But it could face political noise as since Britain’s vote to leave the European Union there has been increased scrutiny of such deals amid concerns that British firms are losing out. Some politicians were critical when Franco-Dutch firm Gemalto rather than Britain’s De La Rue recently won the contract to make UK passports. 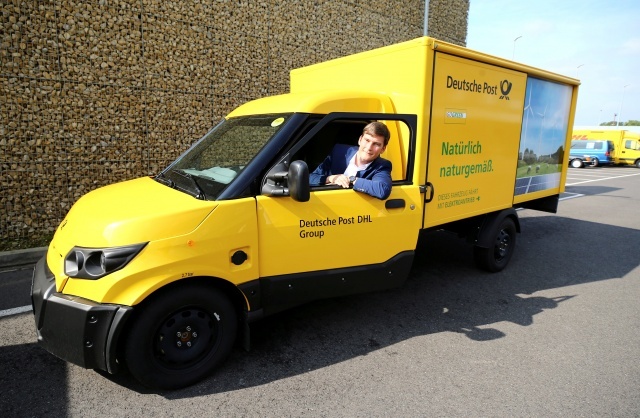 Milk & More, which is owned by German dairy group Theo Mueller, makes more than 1.5 million deliveries a day to over 500,000 British households, Deutsche Post said on Monday. “We wanted to make this unique tradition relevant again to the requirements of today’s customers,” Patrick Mueller, managing director of Milk & More, said in a joint statement.